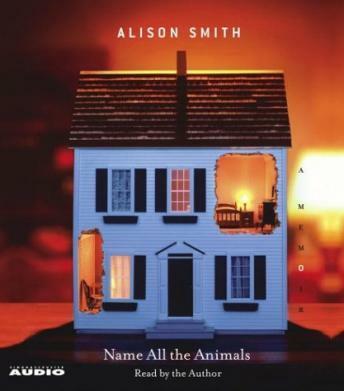 A luminous, true story, Name All the Animals is an unparalleled account of grief and secret love: the tale of a family clinging to the memory of a lost child, and a young woman struggling to define herself in the wake of his loss. As children, siblings Alison and Roy Smith were so close that their mother called them by one name: Alroy. But on a cool summer morning when Alison was fifteen, she woke to learn that Roy, eighteen, was dead. This is Smith's extraordinary account of the impact of that loss -- on herself, on her parents, and on a deeply religious community. At home, Alison and her parents sleepwalk in shifts. Alison hoards food for her lost brother, hides in the back yard fort they built together, and waits for him to return. During the day, she breaks every rule at Our Lady of Mercy School for Girls, where the baffled but loving nuns offer prayer, Shakespeare, and a job running the switchboard. In the end, Alison finds her own way to survive: a startling and taboo first love that helps her discover a world beyond the death of her brother. Heartbreaking but hopeful, this is about the excitement and anguish of Alison's first love, about her parents' enduring romance, about a community's passion for its faith, and about a beautiful, well-loved boy who dies too young. Excellent book, well written, realistic. Describes the despair of a family after the death of a loved one in vivid detail. I think the book could have been more effective with a different reader.